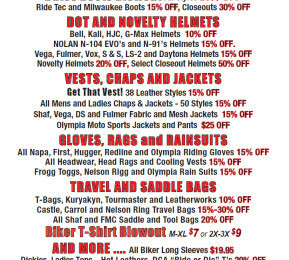 Here's to bikers on the move in States with helmet laws. When it's time to stop for lunch or a cool one, we all have to find a place to lock up that old helmet if we don't want to stick it on the rearview mirrors or leave on our seat. But dang! That helmet's too big for the saddlebags. We could bring it inside and just push it on or under a chair. Kinda unwieldy. Here comes the cavalry! HELMETLOK is a carabiner-style lock, with a 4 digit programmable locking mechanism. 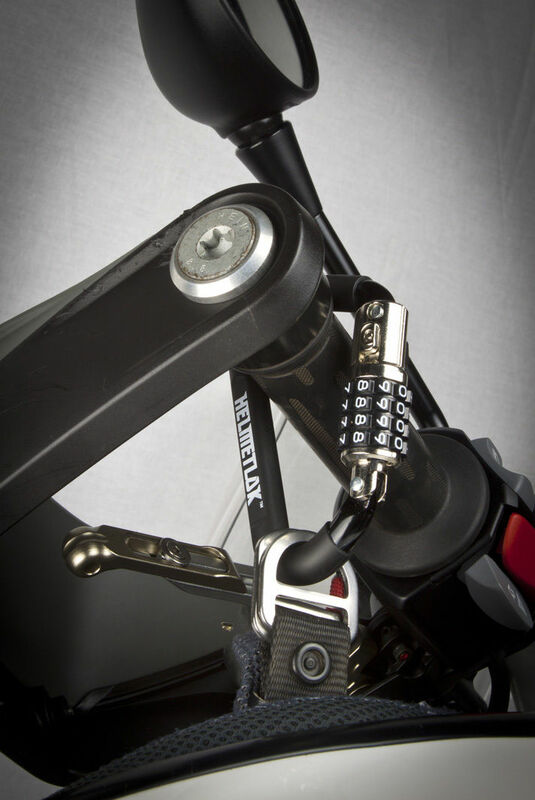 It lock your helmet to your bike. 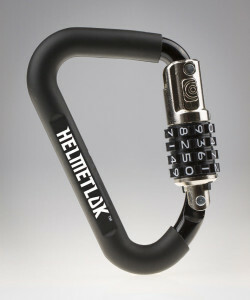 Operation is simple: Open the lock, slip the carabiner through your helmet's D-rings, attach it to your bike and lock it. Unlike a conventional carabiner, when the locking arm is open, it pivots outwards, not inwards where it becomes difficult to hook anything in. The clearance allows you to attach the lock to large diameter handlebars, bike frames, gear racks and grab rails. In fact, it will fit around anything with a 1.5" diameter. 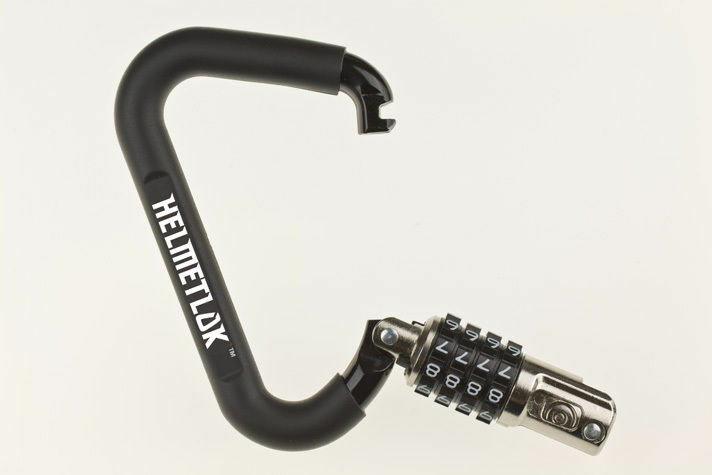 HelmetLok can be used with a cable to lock luggage, jackets, etc. on your bike. No need for a key or anything mounted to the bike. We think it's a good product, easy to use and to pocket when not in use. Renegade Classics carries HelmetLok, right around $20.